Midfielder who found massive success after debuting with Barcelona's first team in 2009, winning La Liga, Copa Del Rey and FIFA Club World Cup titles, among others. He won UEFA European Championships with the Spanish national team in 2008, 2011 and 2013. He lived in Italy, Spain and Brazil as a child. He played for 4 different youth teams, beginning with Flamengo in 1995. 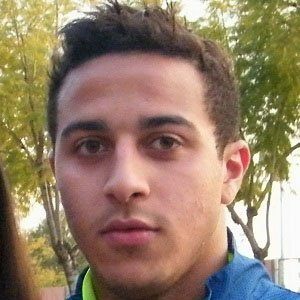 He was the star of the 2013 UEFA Under-21 Championship, winning the Golden Player and Silver Boot awards as well as being named to the Team of the Tournament. His father Mazinho previously played soccer for the Brazilian national team. He married Julia Vigas in 2015. He has been teammates with German midfielder Gianluca Gaudino at Bayern Munich.